For those unaware, the Watkinson Library recently received an amazing collection of comic books, graphic novels, and magazines. Over the past few weeks, I have been lucky enough to catalog and paw through literally thousands of new and old-school comics ranging from Green Lantern Corps to Archie, Punisher: War Zone to My Little Pony, Harley Quinn to The Walking Dead, and much more. 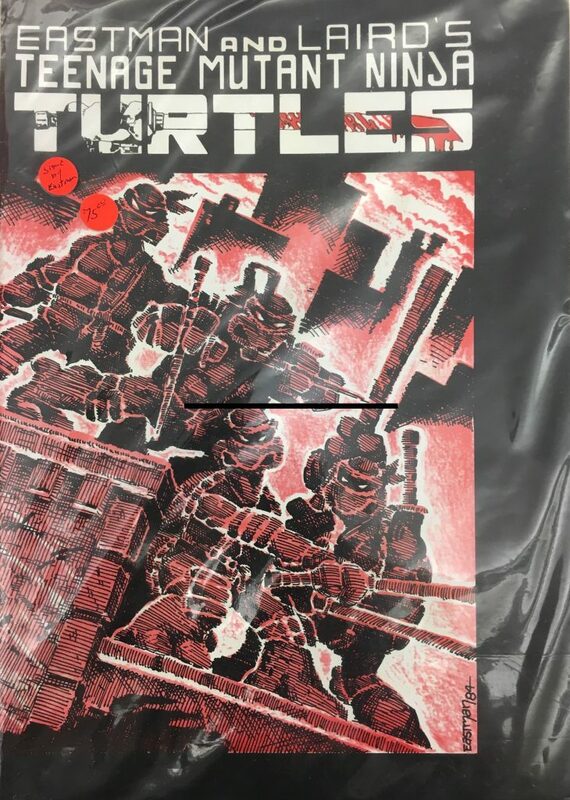 As a child of the late 80s/early 90s, I was thrilled to discover the very first 1984 issue of Eastman and Laird’s Teenage Mutant Ninja Turtles within the Watkinson’s new collection. 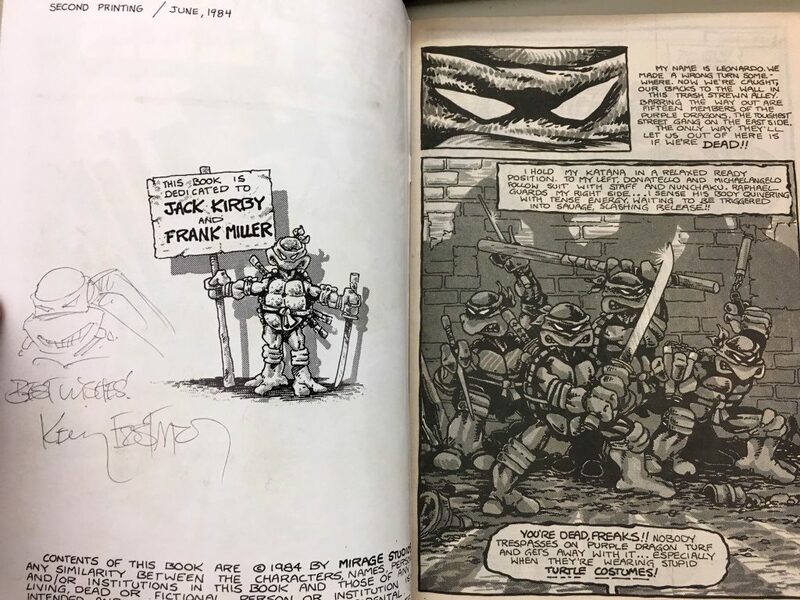 It’s a second printing valued at around $800-$1,000 and the inside of the book sports an autograph by co-creator Kevin Eastman and a totally bodacious original sketch of one of your favorite heroes in a half shell. Turtle power! Just wait until we’re finished cataloging the entire collection. If you’re into comics, it’ll blow your mind. Comments Off on Turtle Power! You are currently browsing the I Found It at the Watkinson! blog archives for October, 2017.